Making a successful documentary is no easy feat. Sure, as the saying goes “everyone has a story to tell”, but what most people don’t realize is that not everyone knows how to tell it. That is why a well-crafted documentary film can hold such absorbing power and raw emotion- because of how they are told. 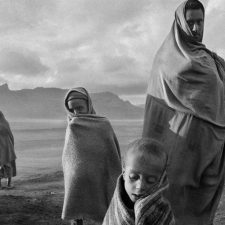 Like a novel, or a painting, documentaries can be a form of self expression, yet they are also a form of journalism- revealing, emotional, inspiring and true. The best documentaries combine these elements to tell an original, gripping story that can raise awareness of untried issues or inspire new perspectives, or in some cases, both. 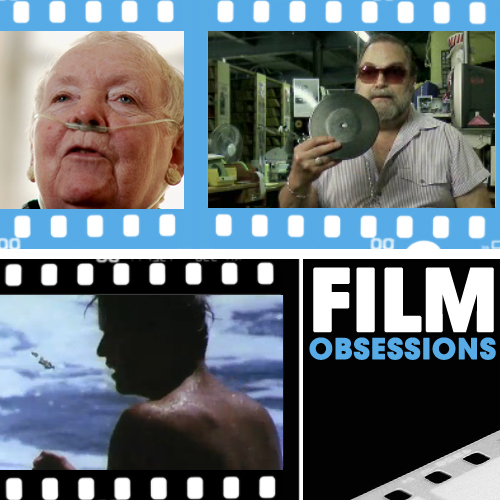 For this edition of Film Obsessions, I present to you, humble readers, three short documentaries that you should watch. The value of living, the power of music, and the colors brown and blue. Three completely different subjects, yet interrelated through the power of storytelling. The emotional spectrum will be all over the place with these three films, but I hope that in the end you’ll have a deeper appreciation for the art of documentary storytelling, and the transfixing stories that life has to offer. Because as the great Oscar Wilde declared, in the anti-mimetic world in which we live in, “life imitates art far more than art imitates life”. Beautifully shot and aesthetically fixating, this short doc is part of a feature-length documentary, Lessons for the Living by Lily Henderson, about the “unique subculture of Hospice volunteers as they reflect on their experiences and philosophies of life and death”. You can visit the film’s website here to find out about screenings or to purchase a DVD of the film. I originally saw this short about two years ago at the 2009 Silverdocs Documentary Festival, and it immediately struck a chord with me. So much so, that over two years later I still nearly tear up watching it and continually recommend it to anyone I can. As an ardent music fan and obsessive vinyl record collector, this doc hits particularly close to home. Music can have a powerful effect on an individual. It can move you, transform you, become a part of you. As any record collector will tell you, there is something magical about listening to your favorite album on vinyl. The tone is so pure, raw, and unfiltered. The sound: wild, untamed, and spellbinding. It’s almost as if you’re right there with the band, in the studio. But perhaps the best aspect of listening to music on vinyl is the physicality of possessing the record. It’s like a badge of honor; a spiritual token that bonds you with the music. Director Sean Dunne appositely captures this essence in this profile of Paul Mawhinney, a Pittsburgh native who holds the world’s largest record collection. In this 7 and ½ min. doc, Mawhinney explains how he came to have the world’s largest record collection and explains far better than I possibly can as to what makes vinyl so special. Masterfully shot, and delicately edited, this little film not only profiles Mawhinney and explains the glory of vinyl records, but it aptly doubles as a sharp social commentary on the nature of our fast-paced digital culture, which has made Mawwhinney’s seemingly infinite collection valued at over $20 million dollars, nearly obsolete. Ok, so after tugging at your heartstrings with the last two films, I don’t want leave you all, dear readers, depressed and unsettled with this edition of Film Obsessions. So, this next recently unearthed doc is a blast from the past, 1969 to be precise, and is an exploration of colors. Two colors to be exact. Brown and Blue. Yes, this pseudo-absurdist doc looks at the nature of the colors brown and blue. So why should you watch it? Has my sales pitch not completely made you want to stop everything and watch it immediately? Ok, well, aside from it being a very amusing and comical little film, it was directed by Homer Groening. Groening. That name sounds familiar, eh? Well Matt Groening is the guy that created The Simpsons. And, wait! Yes! Homer is the main character and patriarch of The Simpsons. So, put two and two together and…..yep, you got it: Homer Groening is Matt Groening’s father! So if you’re a big Simpsons fan like me, check out this little film, and you’ll clearly see where Matt gets his chops from.